Robbery with a weapon is considered a serious offence if you have been charged or facing charges for robbery with a weapon seek expert legal assistance. George Sten & Co comprises a team of specialist criminal defence lawyers with over 50 years of experience in defending persons charged with crimes including robbery offences. If you have been charged with robbery with a weapon or a robbery offence, George Sten & Co maintains the expertise required to defend you to the highest possible standard. Division 2 (Sections 94-99) of the Crimes Act 1900 (NSW) provides for offences, which involve robbery. The Crimes Act does not provide a definition of robbery. Rather, the definition is found in the common law and provides that a robbery is committed where “the victim is compelled by force or fear to submit to the theft”. Section 97 of the Crimes Act provides the offence of robbery being armed. In this context, ‘armed’ means, “bearing or having the immediate physical possession of the weapon or instrument”. The maximum penalty for this offence is 20 years imprisonment. Significantly, if the weapon is proved to be a ‘dangerous weapon’, the maximum penalty is increased to 25 years imprisonment. ‘Dangerous weapon’ in this context means a firearm or imitation firearm within the meaning of the Firearms Act 1996 or a prohibited weapon within the meaning of the Weapons Prohibition Act 1998, or a spear gun. Under the Firearms Act an ‘imitation firearm’ is defined as “an object that, regardless of its colour, weight or composition or the presence or absence of any moveable parts, substantially duplicates in appearance a firearm but that is not a firearm”. Courts consider robbery a very serious offence and armed robbery is seen as the most serious kind of robbery offence. The law provides that where a person is found guilty of armed robbery; a full time custodial sentence (imprisonment) will be imposed upon that person unless there are found to be “exceptional circumstances”. Such circumstances are not any relevant circumstance that may exist in relation to a particular case. Rather, the Courts have recognised particular exceptional circumstances, which may be relevant to a person found guilty of armed robbery in avoiding a full time custodial sentence. In other words, where a person is found guilty of armed robbery, a term of imprisonment is very likely. It may be possible to avoid a term of imprisonment if it can be demonstrated to the court that particular circumstances exist, which warrant a penalty other than imprisonment. This will depend upon the facts of the particular case and the evidence the Crown seeks to rely upon to prove that an armed robbery offence occurred. It is therefore essential an experienced criminal defence lawyer is able to represent a person accused of armed robbery to test the Crown’s evidence to ensure a term of imprisonment is not imposed where it should not be. The Courts have provided that youth by itself is not an exceptional circumstance. 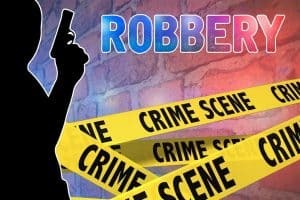 Further, where a person found guilty of armed robbery can demonstrate to the court an attempt, or achievement of rehabilitation, that circumstance will not necessarily be considered as an exceptional circumstance warranting a more lenient sentence. In contemplating a sentence to be imposed on a person found guilty of armed robbery, Courts take into consideration a range of factors. This includes the nature of the weapon used, the vulnerability of the victim, the degree of planning, and the intensity of threat or use of force, the number of offenders, the amount of property taken and the effect on the victim(s). Generally, where an accused person enters an early guilty plea, a court may view that favourably in deciding a sentence. For these reasons it is essential a person charged with armed robbery or robbery in company is represented by an experienced and specialised criminal defence lawyer. There are a range of important aspects and factors, which need to be carefully considered and defended in relation to an offence under this section. For example, a person may be charged with armed robbery however at the time the offence was committed, the accused person did not have “immediate physical possession of the weapon or incident”. Further, the object, which a person may be accused, to have used in relation to an armed robbery offence may not be defined in law as an “offensive” or “dangerous” weapon. Among various others, these are questions that will be considered by an experienced criminal defence lawyer in order to ensure an accused person is defended to the highest possible standard. In New South Wales the Crimes Act provides for a number of offences, which involve a robbery of some kind. If you have been charged with robbery with a weapon , it is crucial that you seek urgent legal advice. For specialised criminal defence lawyers, contact George Sten & Co Criminal Lawyers Sydney. We are available 24 hours a day, 7 days a week and can be contacted on (02) 9261 8640 during business hours or 0412 423 569 outside of business hours. We may also be contacted via email at georgesten@criminal-lawyer.com.au.